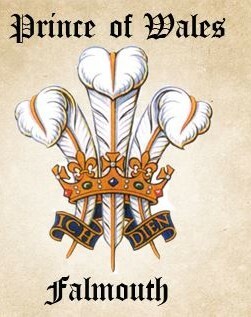 We are an historic public house dating back to the Edwardian era, where you will find a traditional Cornish welcome in a traditional Cornish pub. All of our ales are Cask Marque accredited and we have three local ales to choose from alongside Bass (straight from the cask). Thursday nights we have a jam night, anyone is welcome to play, we supply the kit, you supply the talent! Friday and Saturday’s are live band nights. Enjoy a great selection of music from a variety of local and visiting bands while Sunday is Karaoke evening. 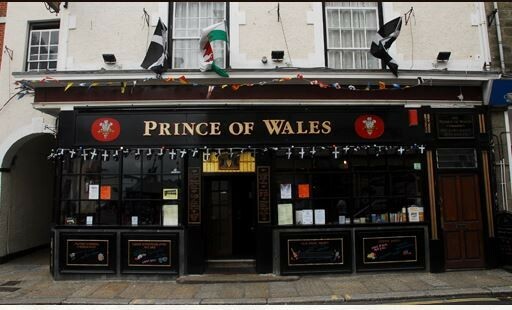 The Prince of Wales is situated in a favoured position opposite the Prince of Wales Pier in the centre of town. From here you can enjoy many boat cruises around the local area (Helford River, St Mawes, Truro) or explore Falmouth on foot.